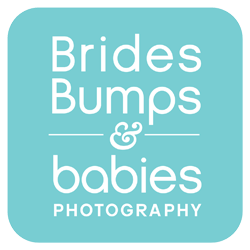 Want Great Wedding Photos? Book an Engagement Session Too! If you are looking for your wedding photographs to be stellar, I highly recommend you book your photographer for an engagement session too! As I've said here in my blog and Vlog posts already, being comfortable with your wedding photographer is so important. Once you are comfortable with your photographer, all of those loving, romantic and fun emotions come streaming through the lens. I personally rely heavily on my outgoing, fun and engaging personality and when you hire me to be your wedding photographer, I always love to package in an engagement photo shoot too. That way, we get to go out for an hour or two and really get to know one another without a pressing timeline and capture some really great images. The result is that when the wedding day comes and it's time for your special couples photos, you will be immediately more at ease than if we had not spent time together during the engagement shoot. We may also be able to learn the types of images that you are drawn to from the engagement shoot and incorporate a tighter plan for wedding day photos. It is a great time this fall for engagement sessions so give me a call and let's chat...see if it feels like a great match and if so, go shoot some beautiful images together and book your wedding day photography too!